Two of the year's best documentaries have hit theaters in as many weeks. Following Code Black's foray into health care and emergency rooms, we now have upon us the story of how our government went after one of our most promising geniuses of modern technology, the Internet and the progressive movement -- a young fellow named Aaron Swartz, who, when threatened hard enough with prison and heavy monetary fines, and because he was, I believe a kind of genius with all the baggage, much of it heavy and difficult, that this state often entails, committed suicide rather than face an incarceration that probably would have sent him over the brink, if and when he found himself behind bars. This is another shameful episode in our current administration's very checkered history, in which, as someone in the movie points out, the powers that be would rather go after whistle blowers attempting to right current wrongs (a good case can be made for Swartz's being exactly that) rather than doing the more difficult work of going after the criminal banks and Wall Street businesses that brought upon this country an economic crisis so vast and horrendous to the middle and lower economic classes that we may never surmount it. 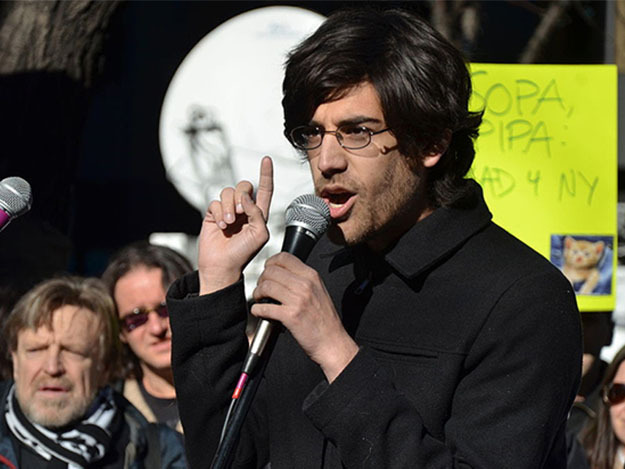 THE INTERNET'S OWN BOY: The Story of Aaron Swartz, written and directed by Brian Knappenberger (shown above) tends, I suppose, toward hagiography because so many of the people involved here knew, loved and respected young Swartz so immensely. After you see this fine documentary, I suspect that you will, too. I knew very little about this fellow, shown above and below, when I sat down to watch the documentary. In fact, though I had heard his name bandied about over the past few years, it was not until his suicide that I paid much attention. 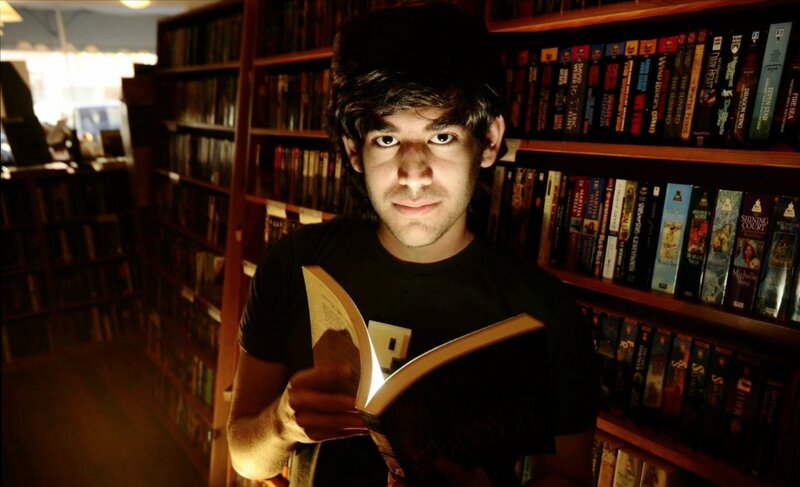 But I am so grateful to Knappenberger and his crew for allowing me to enter Swartz's world and better understand who he was and some of the amazing things he had accomplished by the time of his death (he was only 26). 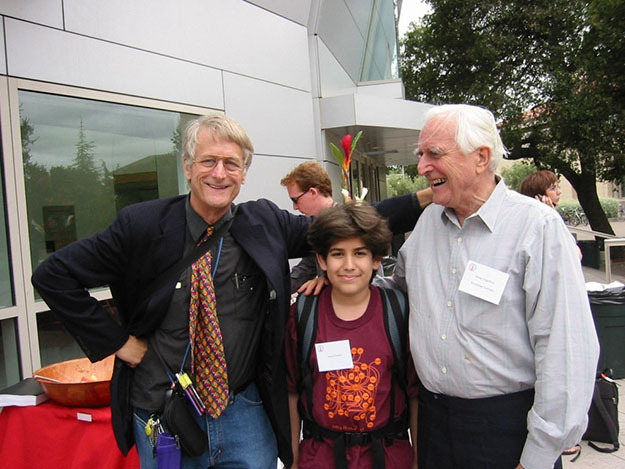 Knappenberger gives us Aaron's history -- how he was reading well at three years old, and growing up with computer, programming, email and all the rest. Though we get a clear sense of how bright, quick and to-the-point the young man was, we don't really see much of his weak points or how difficult he probably could be at times. This may be unavoidable in a documentary that aims, as much as anything else, to be a memorial to the man. Often brilliantly done, it moves fast (even given its 105-minute running time) with almost no flab attached. Everything we see and hear merits our attention. We're able to grow and learn along with Aaron, as he becomes the better known wunderkind of adolescence and young manhood. We meet his brothers and parents, and some of the famous folk who helped guide him, and even a couple of the young women to whom he grew attached. Early on, he dedicated himself and his skills to progressive politics, uncovering massive privacy violations in our court documents, so that the courts had to change their policy. 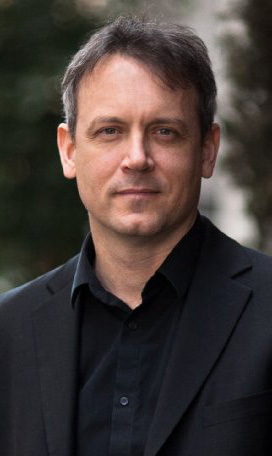 When he learned how difficult and costly it could be to obtain these legal documents that were supposedly available to people, he set about making these documents available free, first incurring the wrath of those who profited by charging for them, and then the government agencies like the FBI (which eventually dropped the case). 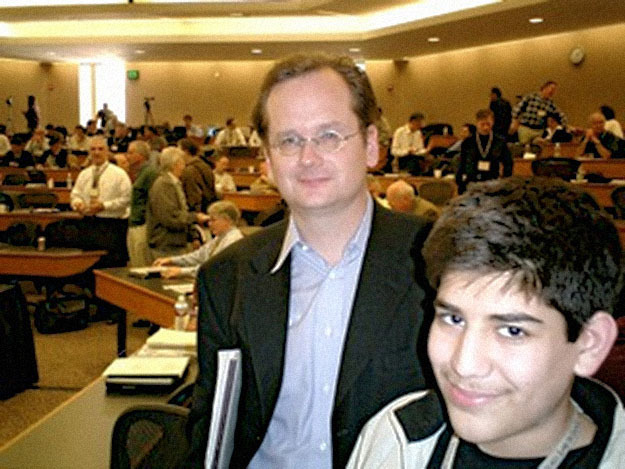 When he set up his own computer to download (or maybe it's upload: I'm not that tech-savvy) files from MIT, he was caught, and the government went after him again, this time more forcibly. 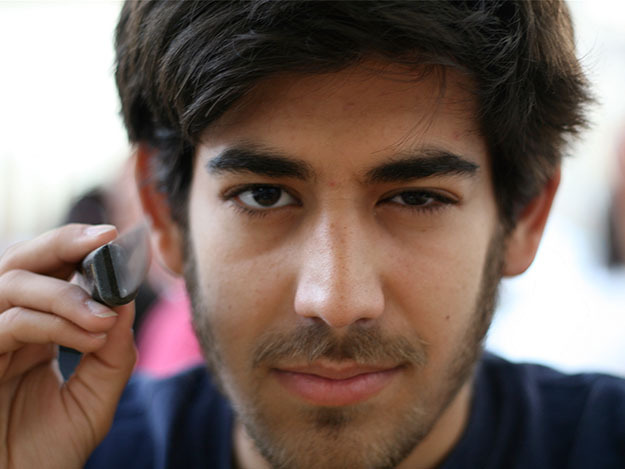 Yet even under this kind of duress and stress, Swartz continued to rally around progressive causes, most particularly the fight to stop SOPA (the Stop Online Piracy Act, which, if pushed through as law, might have halted freedom of the Internet in a single swoop). 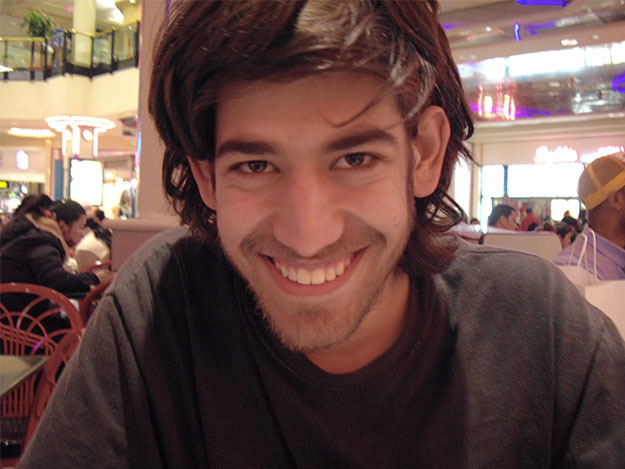 Thought to be unstoppable, SOPA was something Aaron organized to fight. And he won. 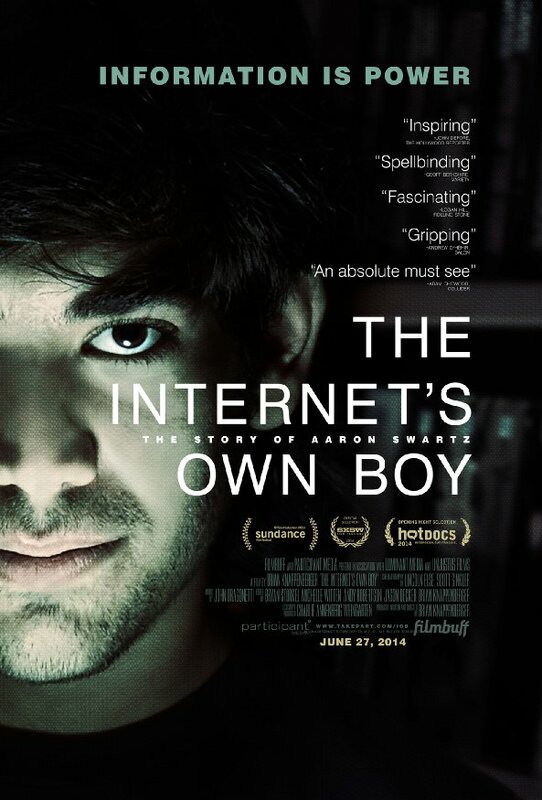 As the evidence grows of how our government effectively bullied Swartz into suicide, the documentary will make you increasingly angry and sorrowful to see destroyed one of the most creative minds of the younger generation -- a mind and body bent on helping our country and its citizens. Overall, though, this is a wondrous, rich, often funny history of a very special person. What a character Aaron was, and how many brilliant ideas did he have! Mr. Knappenberger has indeed given "the Internet's own boy" a fitting memorial. The movie -- from FilmBuff and Participant Media -- opens in theaters this Thursday, June 26, in Los Angeles at the Sundance Cinemas, West Hollywood. The following day, Friday, June 27, it will hit New York City (at the IFC Center) and another dozen locations, and will reach another seven cities in the weeks to come. You can see all currently scheduled cities and theaters by clicking here and scrolling down the page. On VOD, you can screen it from your couch starting Friday, June 27, via Vimeo On Demand, iTunes, Amazon Instant Video, Google Play, Movies On Demand, VUDU, X-Box Video and Sony Entertainment Network.